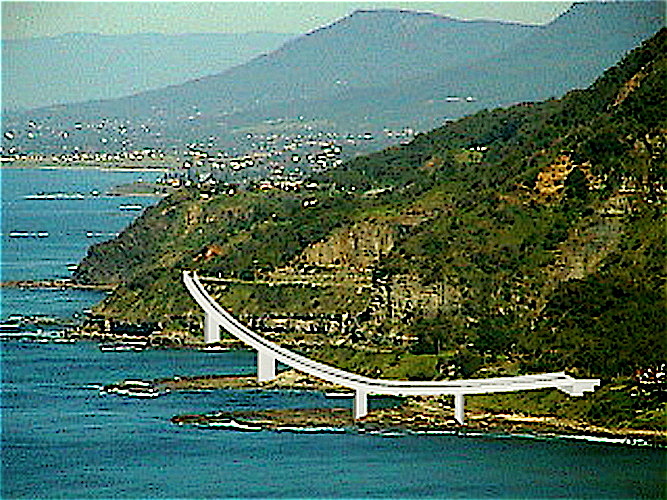 The Sea Cliff Bridge is the centrepiece that links the Northern Illawarra. Arguably our most famous landmark, the bridge has been photographed from every angle at every time of day, appears in just about every car ad and floods the social media feeds of just about every visitor to our region. 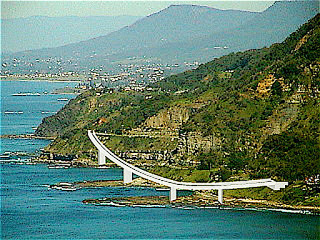 Turns out long-time Stanwell Tops resident Alan Bond is the brains behind our area’s most expensive asset. 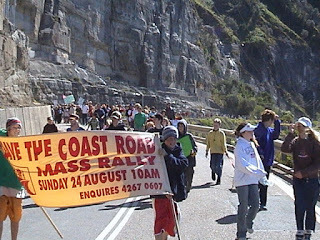 With the road under siege by falling rocks, in May 2003, Alan superimposed a picture of the then-new Woronora Bridge on the escarpment and sent it off to the ‘Powers That Be’. 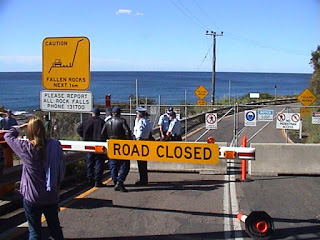 Alan’s suggestion saw the bridge begin at Coalcliff and head out over the water, only touching land again at Clifton. 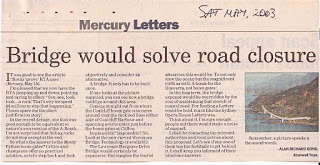 As talk of progress often does, Alan’s bold suggestion caused controversy within the local community. “I had some serious threats made against me,” he says. “My plan came out and over the rocks which would have affected the Sooty Terns. Alan says he also instigated the Helensburgh interchange, which has been instrumental in connecting the town to the city. 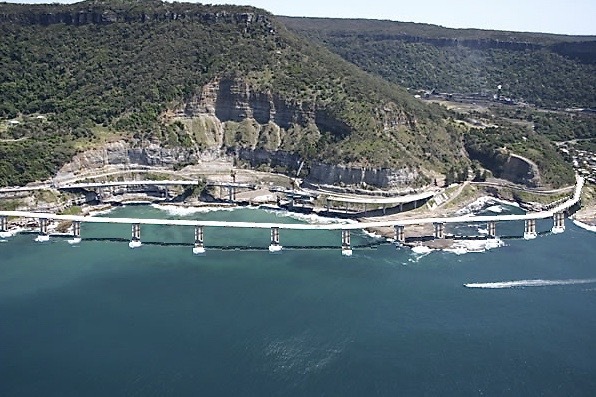 “In 1994 I called on the then-heathcote MP Ian McManus to build access ramps at Helensburgh. 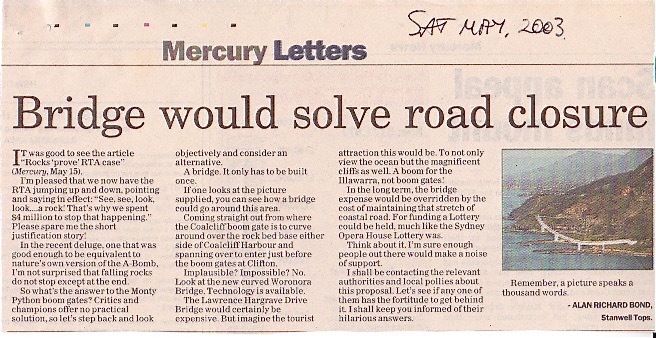 I spoke to the NRMA and drew up a plan for what I saw as a bridge to connect us to the M1. 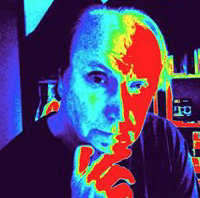 Now, instead of coming up with great transport ideas, Alan is a movie maker! His time-lapse of the trip from Revesby, through Wollongong to Dolphin Point, Burrill Lakes back in the 70s has been viewed more than 62,000 times!